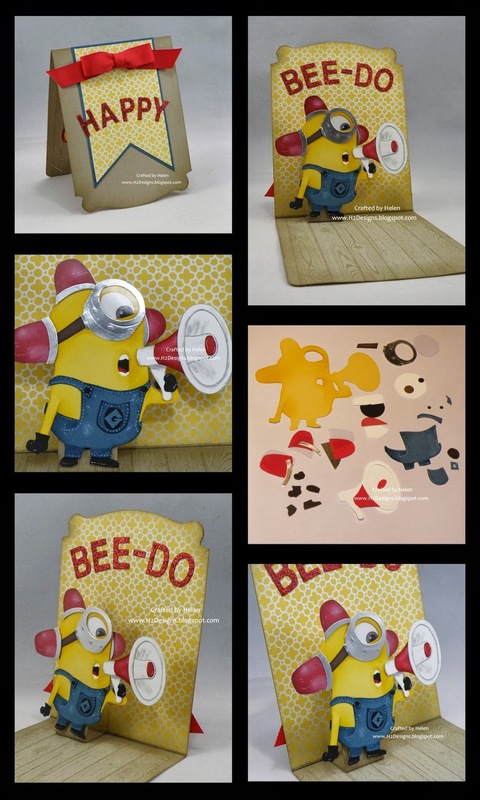 H2 Designs: Minion Pop n Cuts Card - Bee-Do, Bee-Do, Bee-Do!!! Minion Pop n Cuts Card - Bee-Do, Bee-Do, Bee-Do!!! The "floor" has been stamped with the hardwood stamp & sponged. I added some retired DSP for wallpaper & sponged the edges of that as well to create some depth. 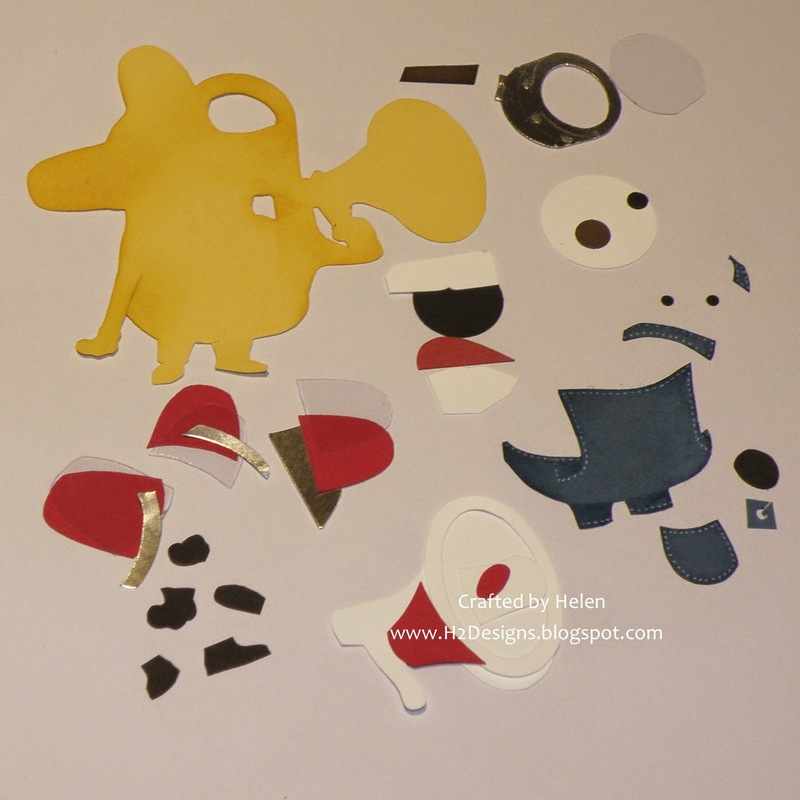 The minion is made from a LOT of little pieces that were hand cut using some sharp little scissors & a hobby blade where necessary. I also used the owl & cupcake builder punches for some of the small circles, including his eye & buttons. All the pieces were layered over & under the yellow base layer to create the minion. Each section was sponged, with details such as the stitching on his overalls & the reflections on the hazard lights added with white gel pen. The lights were also sponged with white ink to get some reflection happening! He has an acetate lens in his goggle & an acetate layer on his hazard lights so they look more realistic. I also added a little bit of silver embossing on his goggle to add some bolts & the fixing for the strap. If you like minions, you can find another minion pop up card I made here.